How do I know if my child needs a visual exam? Chances are, one of your primary concerns as a parent is your child's health. A significant part of a total health plan is vision care. Unfortunately, the brief vision screening your child receives at school gives limited information about your child's vision. Your child's ability to interact successfully in the world depends on efficient visual skills. this includes the eyes' ability to track a moving object, to jump from one object to the next, to focus from distant objects to close ones and back again, to work together and to process visual information accurately. Poorly developed visual abilities can interfere with your child's relationship with the environment – creating discomfort, inefficiency in daily activities and the inability to reach full potential. The head moves back and forth while reading, instead of just the eyes. Use of fingers to trace lines in a book. Complaints of blurring, double-vision or headaches. Short attention span while reading. Rubbing the eyes or squinting. Please don't hesitate to call us with concerns about your child's vision. Better yet, call to schedule a vision evaluation for your child to ensure success in a visual world. My child passed all the school vision checks but still has trouble reading. Could there be a vision problem? Because over 70% of what we learn in school is received visually, many academic performance problems are related to difficulties involving the visual system. Since school vision screenings evaluate only the most basic visual skills, many vision problems often go undiagnosed. Headaches or eye-aches – the muscles strain to keep a clear focus. Blurry vision up close – the muscles "give-up." Blurry vision far away – the muscles work so hard while reading that they're unable to relax when we look into the distance. Double vision – overexertion of muscles interfere with the eyes' ability to work together a team. Young people today are required to perform more "up-close" tasks than ever before, whether it's computer work, pleasure reading, music lessons or video games. These tasks involve prolonged use of the eyes' focusing muscles, causing them to become overtired. Call us if you feel your child is experiencing symptoms related to eye fatigue and schedule a complete vision system evaluation. Contact lenses – either soft or rigid – can be an excellent option for children who wear glasses. 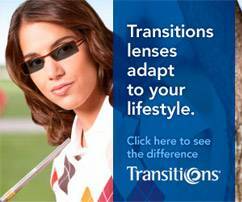 By eliminating the distortion sometimes experienced with spectacle lenses, contact lenses can actually increase visual clarity. Many participants in non-contact sports such as skating and gymnastics realize a greater freedom while wearing contact lenses. In other activities, such as soccer and basketball, contacts also help to improve peripheral vision. But remember that protective eyewear is still necessary to avoid serious ocular injury. There is no "magic age" at which a child can start wearing contact lenses. Contact lens care is so simple now that most eight year olds can be taught to care for their contact lenses responsibly. Parents are usually the best judges of when their child is ready. There is evidence showing that, in some cases, rigid contact lenses can slow the progression of nearsightedness. Please give us a call to discuss this or any other contact lens options for your child.